Cherry Bubblegum nic salts are made by Nicopure Labs to the absolute highest quality. Fast nicotine delivery, longer-lasting nicotine effect, and more discreet vaping. If you think you know cherry flavour, this will burst your bubble. 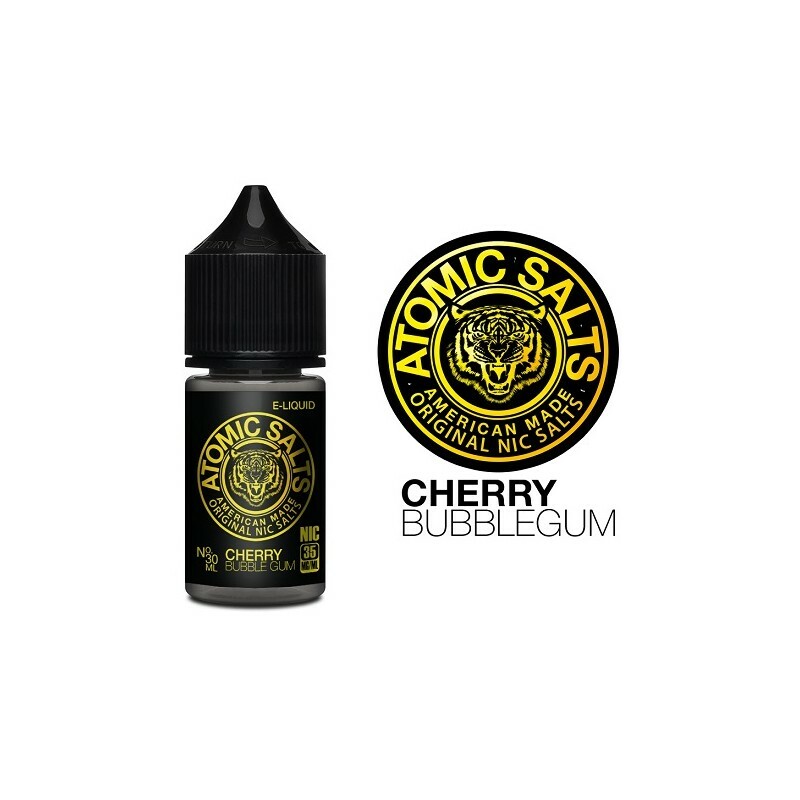 Cherry Bubblegum, another mind-blowing Atomic Salts flavour, turns the sweetness savoury. 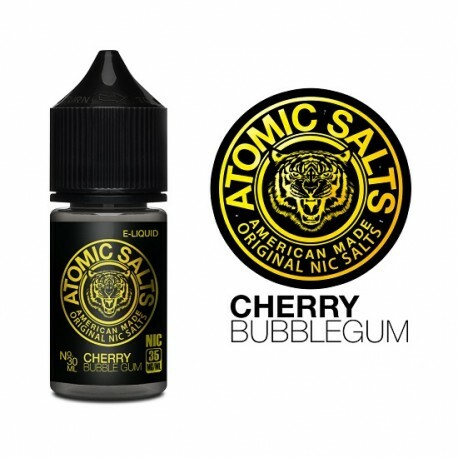 Steam Age Vape Shop ships Cherry Bubblegum by Atomic Salts (with nicotine salts) NZ & Australia-wide. This is a great e Liquid. Funnily when I first started vaping it I thought "myeh" it's OK I guess. But I found myself going back to it again and again until eventually I was vaping this most of the time. I had an idea in my head about how it would taste and it was a bit different to that, more subtle, and I found I liked that. It's not too sweet, it's a bit more cherry and it's so damn easy to vape. Really like this this e liquid.